Gorder left behind a son in Montana, who was living with his grandmother. A daughter to whom she’d given birth while homeless was taken away and adopted by a foster family. Then she got pregnant again, with another son, and resolved to turn things around. Now Gorder is on track to earn an associate degree in June in the high-demand field of logistics. She also has a place to live: a two-bedroom apartment in Tacoma. It was Tacoma Community College, or TCC, that helped her finally find a home for herself and her youngest son, now 3. Gorder was able to move into her apartment thanks to a rental voucher she received through the College Housing Assistance Program, or CHAP, a collaboration with the Tacoma Housing Authority, which provides vouchers for subsidized rent to 150 students who are, or may become, homeless. In a survey, 12% of community college and 9% of university students reported they were homeless. Now colleges and universities themselves are pulling together more permanent solutions, often in collaboration with local housing authorities and nonprofit partners. In some cases, colleges and universities are trying to avoid losing enrollment; not surprisingly, students in unstable living environments or who can’t afford food have poorer physical health, symptoms of depression, and psychological stress and are more likely to drop out, research shows. 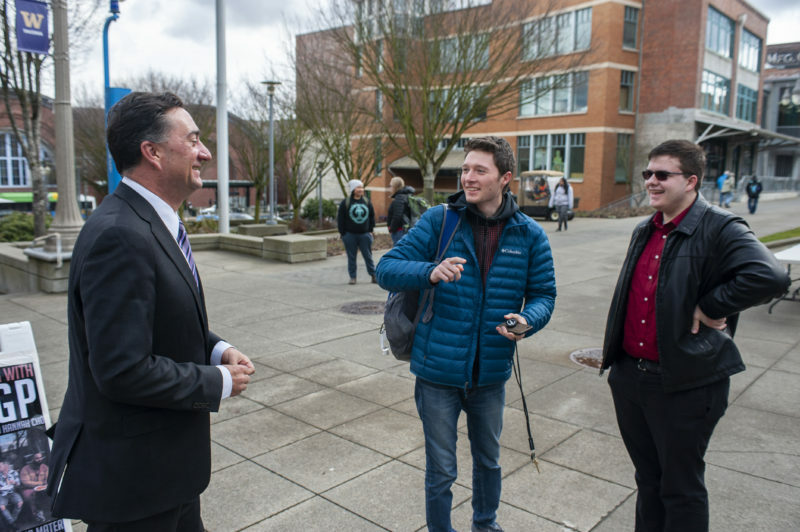 “Higher education is not a social service agency, and we recognize that,” said Ed Mirecki, dean of students at the University of Washington-Tacoma, or UWT, which began a program in January with the local housing authority that reserves 52 “micro-units” — 255 square feet apiece — for homeless students or students at risk of becoming homeless. Louis Tse was a Ph.D. student at UCLA when he noticed classmates sleeping in random places on campus. He and other students eventually started Bruin Shelter, now known as Students 4 Students, which offers 10 beds in a Santa Monica church for homeless students from colleges and universities all over Los Angeles. 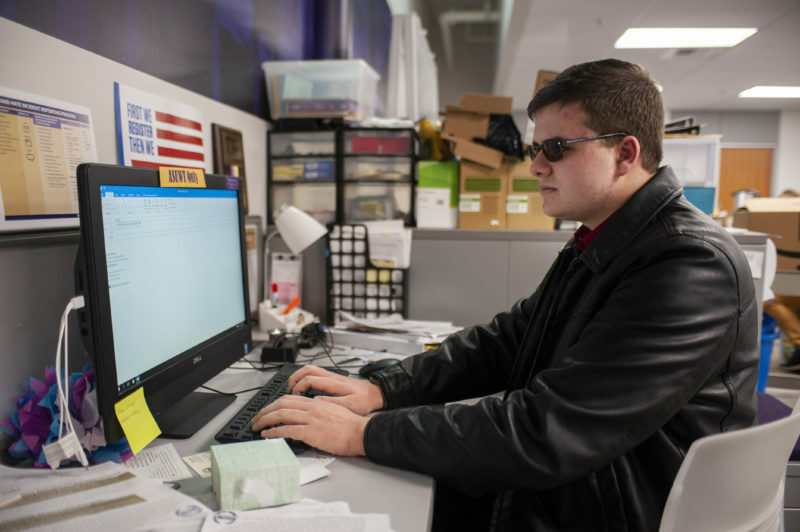 Daniel Eatherly, a senior business major and the student government’s director of legislative affairs, wanted to find a fix after learning about the prevalence of housing insecurity on his campus. Thirty-nine of the 52 units have already been rented, and demand outpaces the remaining supply. Meanwhile, the rooms — smaller than the average 333.3 square feet that College Planning & Management magazine says on-campus residence halls set aside per bed — aren’t a viable option for students with families. “You can’t live in 255 square feet with two kids,” Mirecki said. That’s among the many problems still standing in the way of helping college students who are homeless. Another is a simple lack of affordable housing in places such as Tacoma, where high rents have begun to spill over from Seattle, only 30 minutes away. “It’s really hard to use a voucher in this market, because landlords have been picky,” said Tacoma Housing Authority project manager Aley Thompson. Then there’s the challenge of gathering the paperwork required for a housing voucher. “Sometimes I’m helping them get birth certificates for their kids or Social Security cards because as a homeless person they have lost or had everything stolen,” said Marybeth McCarthy, who helps homeless students at Tacoma Community College. Homeless students also may be up against the stigma of previous evictions or criminal histories, or may not be able to afford move-in costs. Tacoma Community College’s foundation helps qualified students at least pay any deposit, which is in most cases refunded to the college when the student moves out. The magnitude of the problem is giving new momentum to this work. Thirty-six percent of university and 46 percent of community college students have insecure housing, which includes the inability to pay rent or utilities, or the need to move frequently, according to a nationwide survey led by Sara Goldrick-Rab, who founded Temple University’s Hope Center for College, Community, and Justice. Twelve percent of community college and 9 percent of university students reported they were homeless. Many students also experience food insecurity, lacking regular access to healthy meals. Almost 2 million college students who were potentially eligible for food stamps did not report receiving benefits in 2016, the last year for which the figures are available, according to the Government Accountability Office. California State University Long Beach and Ohio University have begun accepting food stamps at on-campus stores. The University of California system has rolled out an initiative to enroll eligible students in CalFresh, the California food stamp program. As part of a $3 million campaign to reduce youth homelessness in Massachusetts, a pilot program matches community college students with nearby universities that have available dorm beds. Eligibility for the program, called the Massachusetts Student Housing Security Pilot, is limited to students 25 or younger who do not have families. So far, 20 formerly homeless community college students have moved into the residence halls at four public universities. A California assemblyman has introduced a bill that would let homeless students who are living in vehicles park overnight on community college campuses. And in Washington State, lawmakers have proposed requiring the state’s community colleges and four-year institutions to give access to laundry facilities, storage units and showers to homeless students and work with local housing authorities to develop rental assistance programs. That measure was inspired by what’s been happening at TCC, where an evaluation showed students who got rental assistance were almost four times more likely to remain enrolled than those who didn’t. In Tacoma, the housing authority provides an average monthly subsidy of $530 for up to three years or until participants graduate. It’s still having trouble keeping up with the need for low-cost housing. It even bought two buildings near the community college campus and converted them to low-income housing that prioritizes students who are homeless or might become homeless. “But in this market, it’s not enough,” said Thompson. An evaluation at one community college showed students who got rental assistance were almost four times more likely to remain enrolled than those who didn’t. Chloe Harden, now a junior at Florida State University, lived with her family and commuted more than an hour each way when she started at Tallahassee Community College. While she’s gotten grants and scholarships to cover much of her tuition, she couldn’t afford to live on her own; more than a third of community college students say paying living expenses is a major challenge for them, a new study finds. “My dad’s a city worker and my mom is a librarian at an elementary school, so there’s not too much to go around for college,” Harden said. Harden moved into a Southern Scholarship Foundation house next to the campus, with 28 women, in the spring of 2018. “I’ve gone from having to miss things like office hours to being able to move literally across the street from my university,” she said. 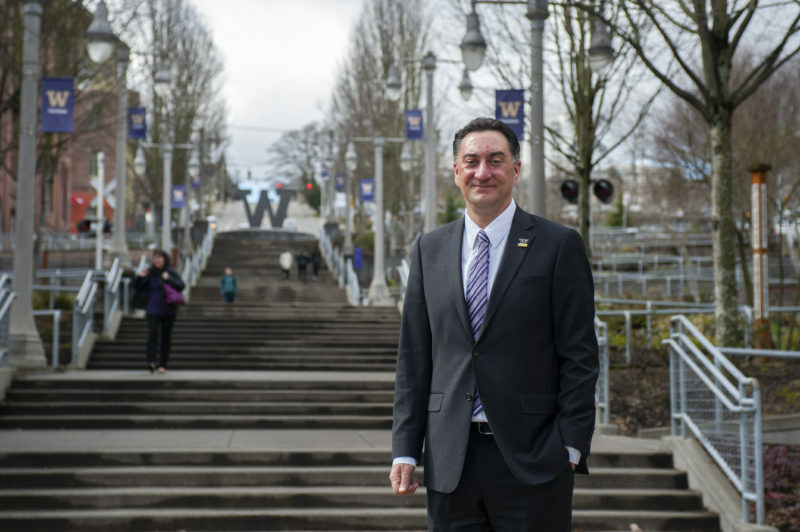 UWT’s Mirecki and Shawn Woodin, the scholarship foundation’s CEO, both said that addressing affordable housing isn’t something higher education institutions are able to do on their own, partly because of the infrastructure needed. 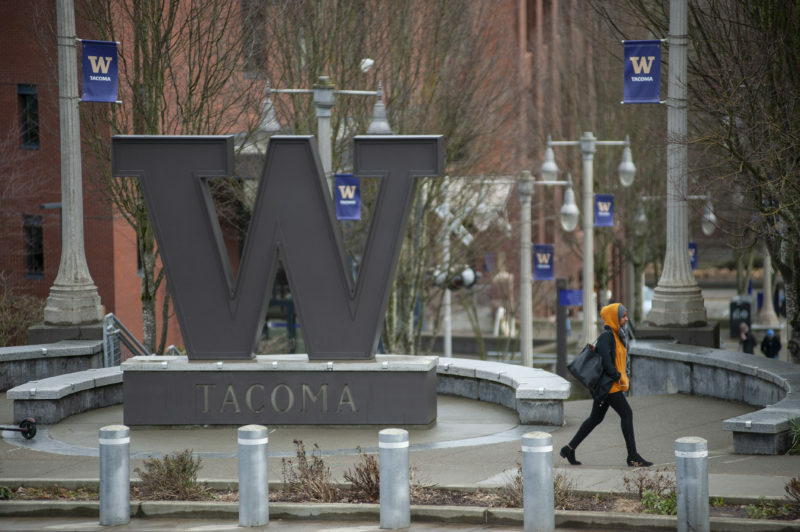 The University of Washington-Tacoma, for instance, bought a 300-bed apartment building a few years ago, but because it was underwritten with bond debt, the university can’t offer subsidized units. Solutions require partnerships with housing authorities, private developers and nonprofits, advocates say. As for Gorder, having a secure home for herself and her son has brought her close to finally graduating. She’s mentoring other parents who have experienced homelessness and addiction and has testified in support of a housing bill before the Washington State legislature. This story about homeless college students was produced by The Hechinger Report, a nonprofit, independent news organization focused on inequality and innovation in education. Sign up for our higher education newsletter.